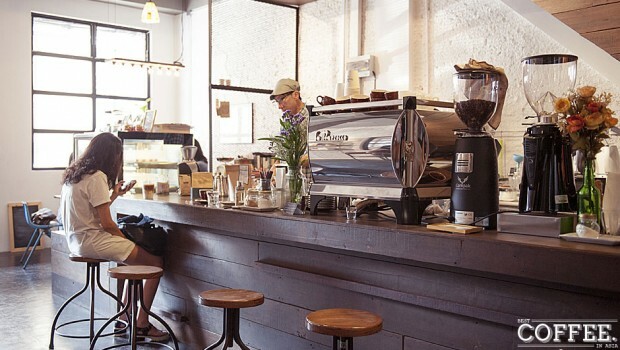 Ekkamai and Thong Lor are sure-fire destinations for good coffee in Bangkok these days, proving that there really is a strong market for high quality coffee in Bangkok and indeed Asia. 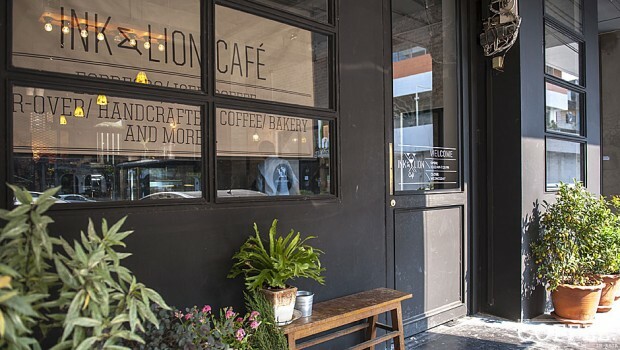 One of the most recent additions to this coffee neighborhood is Ink & Lion Cafe, a cute coffee-centric shop serving good quality coffee sourced from local experts. 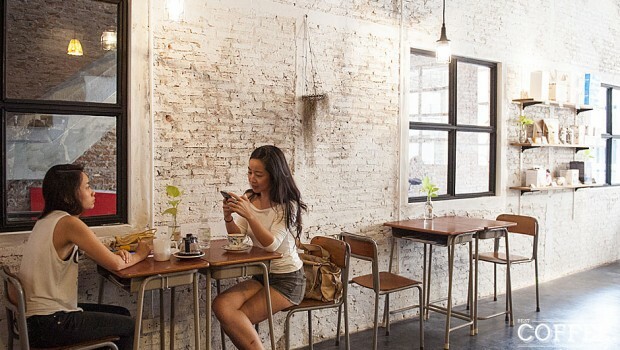 Set meters from Ekkamai behind Purty Nelly’s Irish Pub, Ink and Lion Cafe has a modern interior that will be familiar to Bangkok’s coffee lovers: white paint, minimalist decor, lots of bare wood. 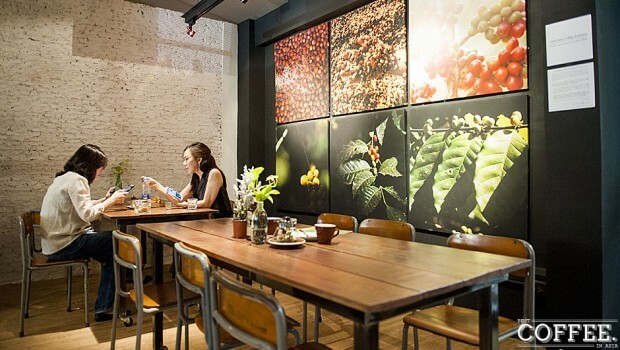 If Roots feels like Bangkok’s Coffee Lab, then Ink & Lion is the Coffee School: the owners have put their own spin on the decor with furniture that would be at home in an Elementary School. It’s quite cute and fun. 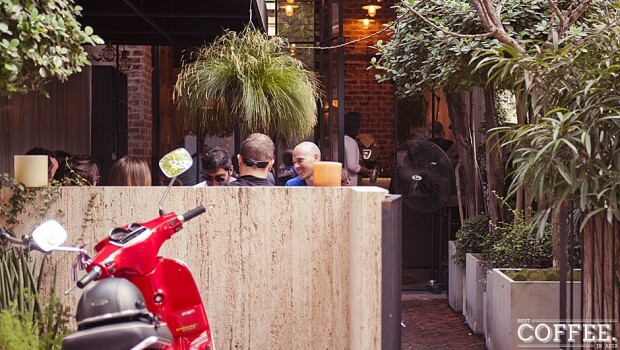 The chilled atmosphere is helped along by an eclectic mix of vintage vinyl spun by the owner. Coffee is sourced from Pacamara, Brave and Ceresia, and served in a range of formats: hot and cold espresso coffee in a range of styles, as well as pour-over drip coffee. Single Origin beans are on offer for the drip coffee, as well as a custom-designed “Four Mountain” espresso blend roasted especially for Ink and Lion by the folks over at Pacamara. I tried the latter as an espresso and was pleasantly surprised. Lovers of Roast’s Journey Blend will enjoy this bold combination of Ethiopian, Basilian, Indonesian and Thai Arabica beans. 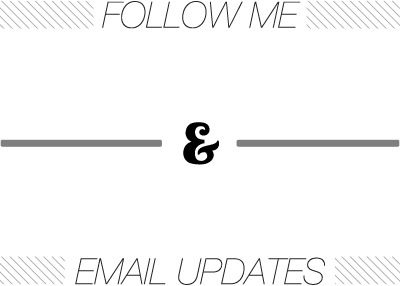 The palate has a sour acidity that dominates – perhaps slightly strong for some – with plenty of complexity to savour on the long finish. For those who like a lighter flavour the drip coffee will certainly impress. 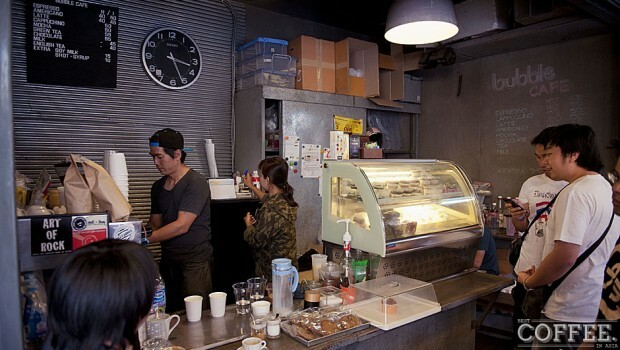 The owner opened Ink & Lion Cafe only two months ago, so it’s certainly a youngster in the Bangkok coffee scene! 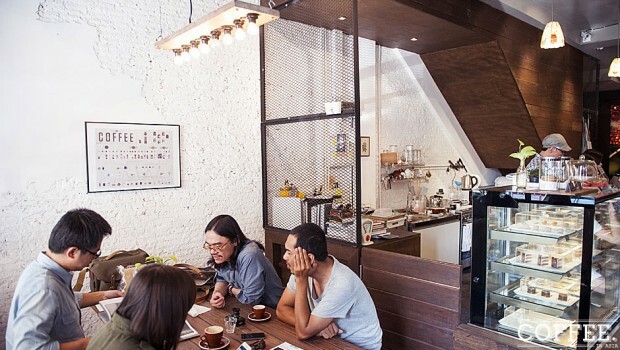 But clearly a love of good coffee is the core value here, making it a must try destination! A selection of cakes is available, as well as some interesting non-coffee beverages and free WiFi.